Composed by John Williams. Single for solo piano. From the motion picture "Star Wars Episode 1 - The Phantom Menace". Series: Original Sheet Music. 10 pages. Published by Alfred Publishing. By John Williams. Edited by Carol Cuellar. 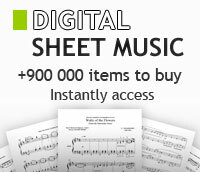 Instrumental collection (Flute). 16 pages. Published by Alfred Publishing. John Williams Signature Edition. Size 9x12 inches. Published by Hal Leonard. Composed by John Williams. For flute. Includes instrumental solo book and accompaniment CD. With standard notation. Movies. 9x12 inches. Published by Warner Brothers. Composed by John Williams. For trombone. Includes instrumental solo book and accompaniment CD. With standard notation. Movies. 9x12 inches. Published by Warner Brothers. Composed by John Williams. For tenor saxophone. Includes instrumental solo book and accompaniment CD. With standard notation. Movies. 9x12 inches. Published by Warner Brothers. Composed by John Williams. For french horn. Includes instrumental solo book and accompaniment CD. With standard notation. Movies. 9x12 inches. Published by Warner Brothers. Composed by John Williams. For trumpet. Includes instrumental solo book and accompaniment CD. With standard notation. Movies. 9x12 inches. Published by Warner Brothers. Composed by John Williams. For piano accompaniment. Includes piano accompaniment book and accompaniment CD. With piano accompaniment. Movies. 9x12 inches. Published by Warner Brothers. Composed by John Williams. For clarinet. Includes instrumental solo book and accompaniment CD. With standard notation. Movies. 9x12 inches. Published by Warner Brothers. Composed by John Williams. For cello. Includes instrumental solo book and accompaniment CD. With standard notation. Movies. 9x12 inches. Published by Warner Brothers.